Walking around Chichester Harbour is always a joy. 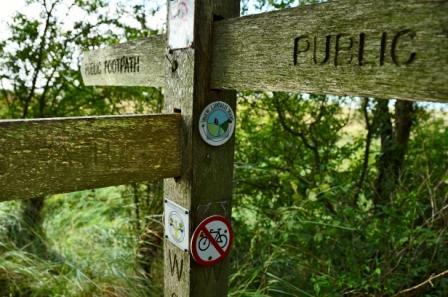 There are over 56 miles of public footpaths with a further 7 miles of permissive routes across the Area of Outstanding Natural Beauty. Many of these paths run right along the shoreline, giving fantastic views across the water. Others cut across farmland and through picturesque Harbour villages. If you would like to enjoy a walk in the Harbour with an experienced guide who can tell you about the wildlife or flora of the area. See our events and activities page to find out more about the guided walks that we offer. Below are details of some walks you might like to take. Full details can be downloaded as pdf documents. We recommend using OS Explorer Map 120 (Chichester) when walking in this area. All of these walks are available as a book titled A Walker's Guide: Chichester Harbour which can be purchased from the Harbour Office or local tourist offices for £5. This walk starts at Chidham then crosses fields to reach the Harbour shoreline. From the shoreline, there are fine views across to Thorney Island. From Prinsted, the walk winds its way back past a small orchard and across farmland. A figure-of-eight walk taking in one of the largest marinas in the country and the tiny village of Dell Quay which was once a busy commercial port. A walk encircling the Harbour village of Itchenor, passing through farmland, attractive housing and along the shoreline path, with splendid views of the Harbour. Starting in the pretty village of West Wittering, this walk follows a quiet lane down to the shoreline. From the shoreside path, there are fine views across to Bosham and the South Downs. The second half of the walk passes through a farm and across fields to complete the circuit. Having crossed the busy bridge onto Hayling Island, you soon reach the tranquility of Northney. The 12th century church with its pretty courtyard makes a pleasant midway resting spot before continuing through farmland to a short stretch of the shoreline. The ideal walk for those who love sea views. However, go prepared as there aren't any shops or refreshment stops once on the island. Starting in the village of Bosham, the walk cuts across the peninsula then passes through reedbeds to a traditionally managed meadow. Heading down the Fishbourne Channel, the route goes through Dell Quay before arriving at Itchenor to catch the seasonal ferry across the channel. A circular walk with some of the best panoramic views of the Harbour. There is always something to watch on the water, whether it is groups of young people learning to sail or birds diving for fish. Starting in the heart of Chichester, this one-way walk leads through urban outskirts to the meadows at Fishbourne. The route then takes in sections of the shoreline before it reaches the ancient village of Bosham. This walk can be extended by following 'Across the Harbour'. A one way walk across the top of the Harbour channels, ending in the vibrant village of Emsworth. This can be extended as a continuation of the Chichester to Bosham walk. Around the Harbour are some hard-surfaced paths suitable for wheelchairs and pushchairs. This selection of walks all lead to viewpoints over the water, many include ideas for a picnic stop. The counties of Hampshire and West Sussex offer some of the best walking in the south. Plan your next route by visiting Walking in Hampshire or Walking in West Sussex.